Explore Coba by mountain bike or be chauffeured by a friendly local Mayan bike taxi (both options included). 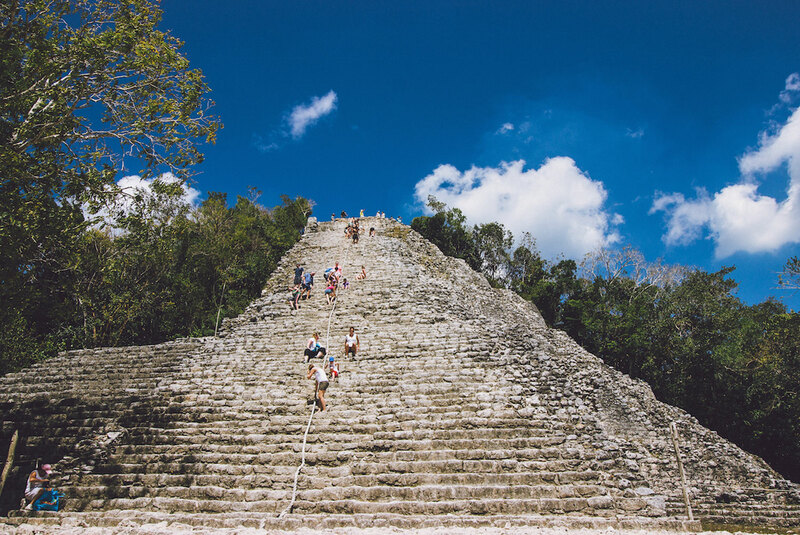 Leave a triumphant mark on your vacation by climbing the mighty Nohoch Mul temple pyramid, tallest pre-Hispanic structure in the Yucatan Peninsula (climb not mandatory). Afterwards take a much needed break with delicious gourmet beachside lunch in the picturesque beaches of Tulum. Enjoy a variety of regional cuisine options accompanied with guacamole, chips and fresh seasonal fruit beverage. End the dream day with guided snorkelling experience in a vast and mystical cavernous cenote/subterranean river. Fall in love with the the clear soothing waters and breathtaking karst rock formations in one of the most unforgettable aquatic ecosystems that you will ever witness.